quote for as little as $10/month. 4.7 out of 5. That’s how customers have rated Square One Insurance Services after writing 9,267 reviews. And with an A+ rating from the Better Business Bureau, people clearly love the way we’re changing home insurance. 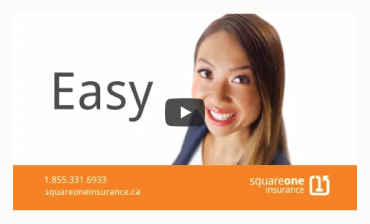 Click play and learn how you can get home insurance for as little as $10/month. Join over 800,000 customers who have received home insurance quotes from Square One. Get a quote in less than 15 minutes and see how affordable personalized home insurance can be. Start an online quote now by clicking the button below. Or, call 1.855.331.6933 for a phone quote. We’re open 7:30 am - 5:00 pm (Mon - Fri).